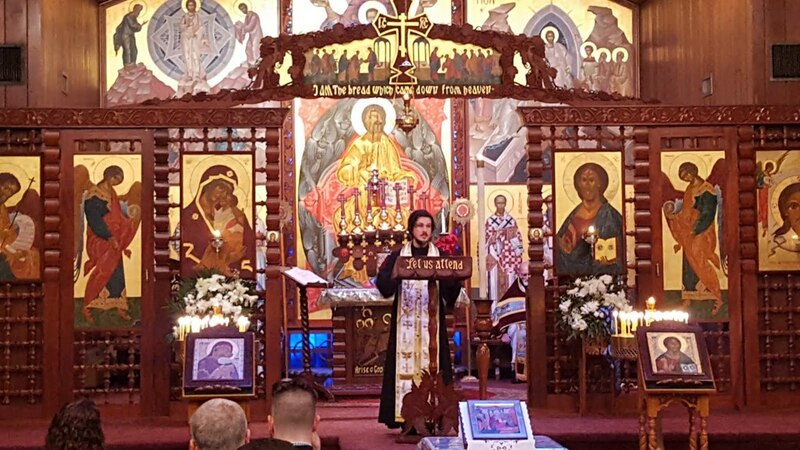 St. Tikhon's Mission Choir visited Christ the Savior Church, in Paramus, NJ, on Sunday, February 5th. This was a wonderful visit on multiple levels. Fr. Leonid Schmidt, (STOTS Class of 2010) began as pastor there early in 2015. 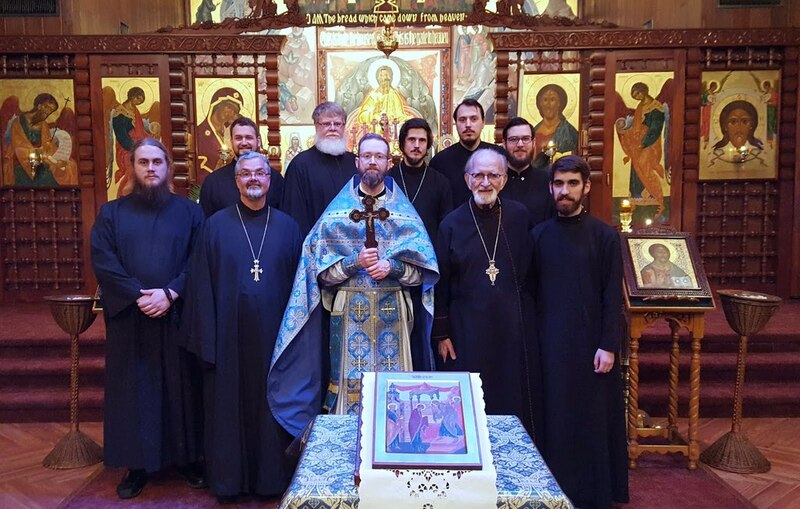 His move there meant in part leaving his teaching responsibilities here at St. Tikhon's Seminary. Seminarians had the opportunity to sit in on Fr. Leonid's adult education session before the Divine Liturgy. It was also meaningful to make this visitation in order that our current seminarians could have the opportunity to interact with Archpriest John Nehrebecki (STOTS Class of 1950). Fr. John participated in the Symposium on Metropolitan Leonty, held in May of 2015, and before that was a member of the delegation traveling to Russia to receive the Tomos of Autocephaly in 1970. Fr. John also initiated a number of mission parishes in the area. He and Matushka Eugenia remain actively involved in the parish. Fr. Mikel Hill, senior seminarian, was the homilist at the Liturgy, and has had a meaningful relationship with Christ the Savior Parish during his course of studies at the seminary. The Mission Choir was treated to a sumptuous luncheon, after which a short concert of liturgical music was shared. May God bless Christ the Savior parish, with gratitude for their very real support of the seminary through donations, and through their support of Fr. Mikel.